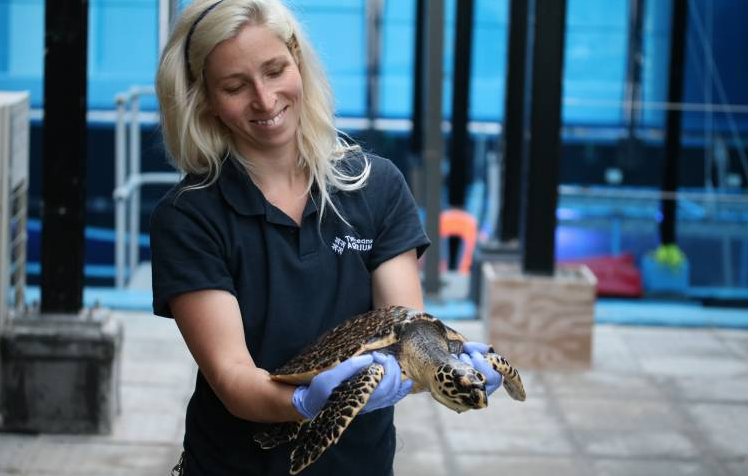 A critically endangered hawksbill turtle was rescued by Two Oceans Aquarium on 22 May 2018, after a member of the public reported seeing the distressed and injured marine animal floating in the kelp near Lambert’s Bay. 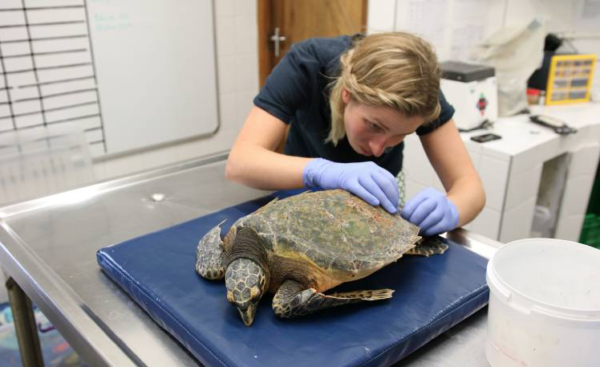 The aquarium’s turtle rehabilitation team immediately put plans in place to rescue the wounded animal. The turtle was rescued by local, Dougie Leech, who kept the turtle at his home overnight as a Senior Aquarist and Collections Officer drove to the town to collect the turtle. 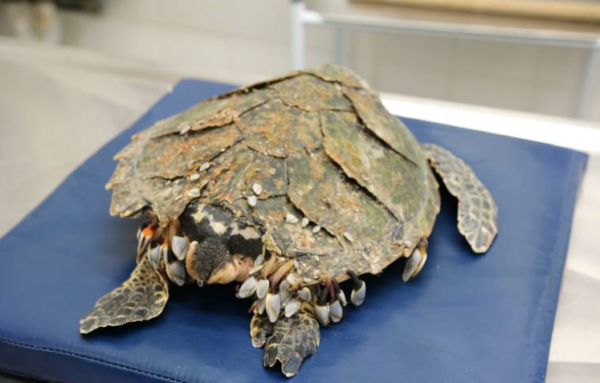 After the wounded turtle was brought to the Two Oceans Aquarium, it became evident that the poor creature was wounded by a shark bite. A portion of its shell was missing, and it looked as though the plates of its shell had been removed piece by piece. This is the reason why the aquarium affectionately named her Jenga – after the popular game. Jenga’s cloaca (her rear end) was also injured. It was covered in scar tissue and severely infected. 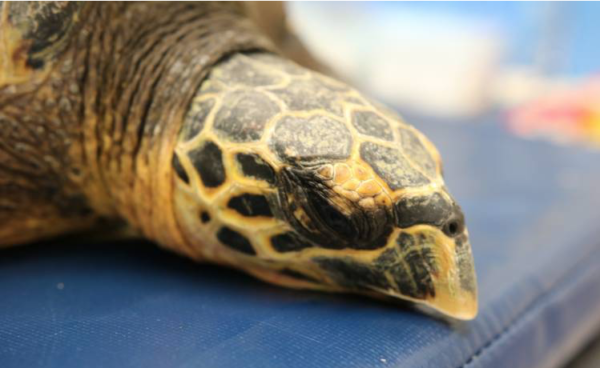 Under the care of the aquarium, she received daily fluids, antibiotics and vitamin injections. 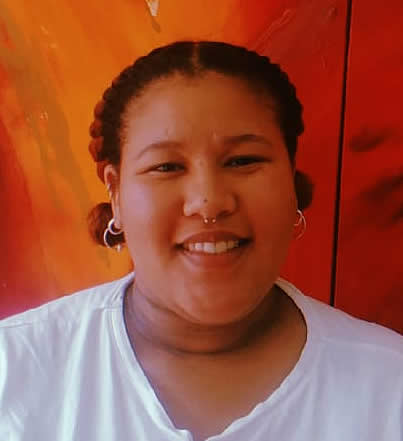 A few weeks into the healing process, she began showing an interest in food. Initially, she was a picky eater and would only consume whole baby squid. Eventually, after she settled in and became more curious, she began eating other foods. The aquarium staff kept her busy and created a tunnel for her to hide and swim in. Jenga also has a backscratcher to help her reach her itchy spots. Hawksbill turtles are one of the rarest species of sea turtles that enter South Africa’s waters. They do not natively nest on our shores, but enter our waters as strays as there are many yummy crabs, prawns and sea sponges available in the waters here. Hawksbill turtles are critically endangered as thousands are killed annually for their shells, their eggs are harvested for food, and are also the species of turtle most susceptible to being caught on fishing hooks and ghost nets.